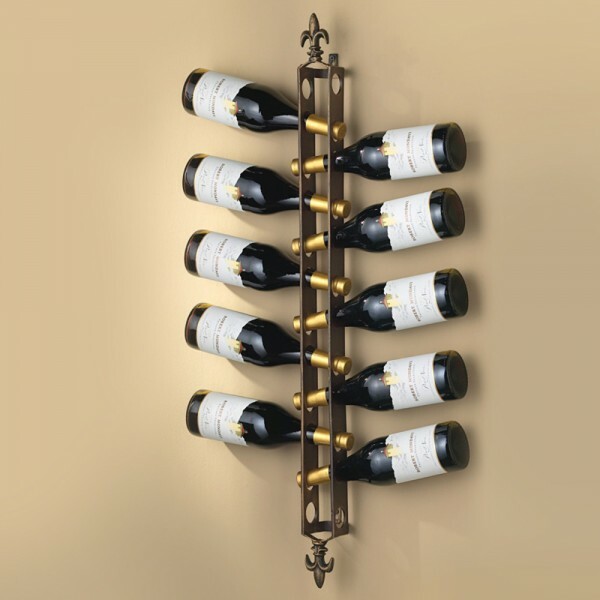 Fleur De Lis Wine Rack (P/N XF00571). The rack is constructed from durable iron and features a rich bronze finish with fleur de lis accents. This 12-bottle Wall-Mounted Fleur De Lis wine rack is made by Creative Creations, a leading designer of stylish home accessories.